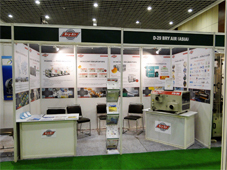 Bry-Air, the leading manufacturers of Dehumidifiers has participated in Pharmac India 2011. The exhibition was held at Mahatma Mandir, Gandhi Nagar, Gujarat from 17th -19th September 2011. 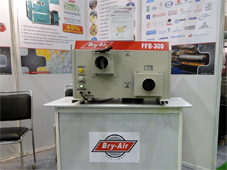 Bry-Air, the leaders in Moisture and Humidity Control participated in the recently concluded Pharmac India 2011 Exhibition. It has witnessed a strong participation from Pharmaceutical industry. More than thousand visitors visited the event. The fair attracted nearly 80 companies from India and Abroad. Hundreds of visitors shown interest in Bry-Air products and enquire about it. The Pharmaceutical industry has become the 3rd largest in the world in terms of volume and ranks 14th in terms of value at $20 billion. The Indian pharmaceutical industry is growing at 9% and is expected to surge to $50 billion by the year 2015. Gujarat contributes 22% in export of pharma products and close to 50% of the total pharma manufacturing industry is in Gujarat. Bry-Air has showcased it’s Compact dehumidifier (FFB series), which is the smallest answer to all massive moisture problems. The Compact Dehumidifier removes moisture through a process of continuous “physical adsorption“. They are effective in terms of space occupied and energy billing. With nearly 50 years of experience in Humidity and Moisture control, Bry-Air offers moisture control solutions for a wide array of applications. Bry-Air is a global solution provider for complete environmental control with a specialization in humidity control, drying, storage, preservation, gas phase filtration and resin drying and conveying, supported by state of the art facilities, worldwide operations and customers in almost every industry. Bry-Air (Asia) has plants in Malaysia, China and Germany and representative offices in Middle East, South Africa, Philippines, Thailand, Italy, Korea, Japan and Australia. The company’s range of products find application globally across 40 countries including South East-Asia, China, CIS countries, Indian subcontinent, West Asia, Middle East and Africa including South Africa and Australia as well as USA and Japan.